The handset it a lovely size, coming in at 5.84 inches which makes it suitable for one-handed use but offers a stunning screen performance. 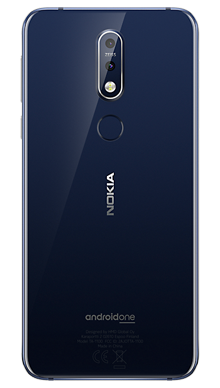 Select your desired options to find the best Nokia 7.1 deals for you. Nokia holds their place in the phone manufacturers hall of fame by consistency producing high-quality handsets. Over the years they have become a household name that people know and trust, and they have a significant following as users know and understand that they will be purchasing a handset that gets the job done. We know that our users value their choice and want to see an excellent range of handsets from Nokia, so we have made it our mission to stock the best we can find and back that up with a wide range of stunning pay monthly deals that give you the most extensive choice possible to find a mobile phone contract that really suits your needs. 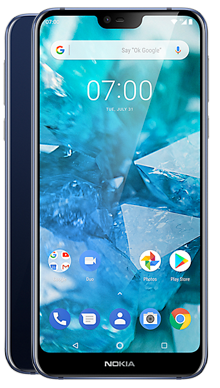 This year Nokia has added a premium handset to the fold, in the form of the Nokia 7.1 and early reviews are good. This is an attractive phone packed with some impressive features at a price tag that will meet many budgets. 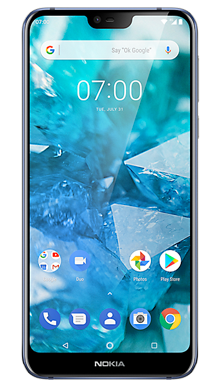 So, this handset is bang on trend, and features the popular infinity screen look, gone are the bezels at the sides, a small notch at the top houses the front-facing camera and a slight bezel along the bottom contains the Nokia branding. 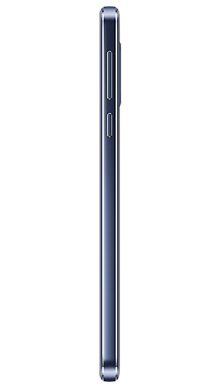 Buttons on the front of handsets seem to have become a thing of the past, and onscreen navigation has replaced them. In terms of build, you are looking at the glass front and back with the aluminium strip around the middle, which is colour contrasted on some of the colourways for a nice usual and distinctive look we simply adore. The handset it a lovely size, coming in at 5.84 inches which makes it suitable for one-handed use but offers a stunning screen performance. In terms of display, you have an LCD Pure Display Full HD+ screen, and the front of the handset is made from Corning Gorilla Glass 3 to ensure that it is as protected as possible. You have 1080 x 2280 resolution offering a decent 432PPI and an aspect ratio of 19:9 which will serve you well if you are streaming movies or playing games. For this handset, Nokia has opted to leave the standard 3.5mm headphone jack which will be great news for many users. On the rear of the handset you will find the long oval camera arrangement and below that a fingerprint scanner for enhanced biometric security. Both design features work well and just in case you are in any doubt there is another Nokia branding below that. So, we know that the standard headphone jack is present which is great news if you love your wired cans, and of course, you could switch to Bluetooth connectivity if you prefer a wireless performance. Nokia has a great reputation for getting the audio on point, so we have no complaints. The speakers are loud enough to support a quiet room, so plenty of choice for the user. On the rear of the handset, you will find a dual camera arrangement with dual flash. The main camera offers 12MP which is great and is ably supported by the second camera which is a 5MP offering that completes the performance and means you will be able to take some cracking shots. In terms of front-facing selfie cameras, the Nokia 7.1 features an 8MP which is perfect for documenting your day. Under the hood, we are looking at Nokia’s preferred hardware and chipset arrangements. For the Nokia 7.1, they have chosen the Qualcomm Snapdragon 636 which is a great choice for a handset at this level. Of course, we know this is an Android operating system, and for this handset, you are looking at Android Oreo which is a great choice and works well to support the functionality of the handset. In terms of storage you have two options, the 32GB option which brings 3GB of RAM or the 64GB which has 4GB of RAM. As is favoured by Nokia, the storage that comes with the handset is kept low which obviously works well in terms of pricing, but then the user is given expansion capabilities with the inclusion of a MicroSD slot which can support up to 400GB in this case, not so much of a standard number but certainly gives you scope to store plenty of things. The battery is a 3060mAh, and the combination of that, the operating system and the chipset combine nicely to create a performance you will love. The battery life is great, so you can head out and about for a day away from the power lead and still have power left when you return home. The handset comes in a variety of colours including Midnight Blue, Black and Steel, so you have the option to pick the one that matches your personality best. There is nothing bad to say about the Nokia 7.1; it is a nice handset that offers a fuss-free performance and comes with a really reasonable price tag. It looks and feels fantastic, and Nokia has clearly surpassed themselves once more with this handset. To make sure we could offer our customers the best deals for the new Nokia 7.1 we set our best deal hunting team to work and made sure they were looking for deals that offer unlimited talk and text time, a variety of data options and of course that all important no upfront cost factor because we know how popular that is. 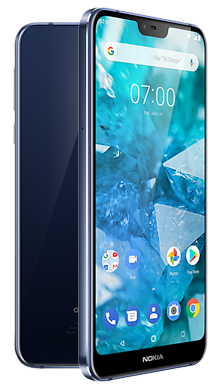 If you think that the Nokia 7.1 could be the next handset for you and you want to learn more about any of the deals that we offer, then please do give our customer service team a call on 0333 900 1133.